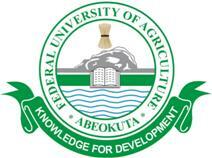 Federal University of Agriculture, Abeokuta (FUNAAB) Final Written and E-Examination Time-Table for Second [2nd] Semester, 2017/2018 Academic Session Out. This is to inform all the students of the Federal University of Agriculture, Abeokuta (FUNAAB), that the the written and e-examination timetable for the second semester, 2017/2018 academic session has been released and uploaded online. Kindly follow the respective links below to download the time-tables in pdf. FUNAAB E-Examination Time Table for 2nd Semester 2017/2018 [PDF].